Hey everyone, welcome to the TAY Time Chat! There's a lot of stuff going on this week, apparently, but I've been missing out on a lot of it because I've been drowning in Shakespeare. Well, almost—I managed to avoid drowning. 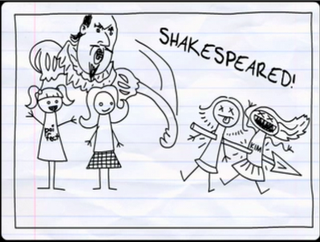 But still, lots of Shakespeare is being read just to keep up with my schoolwork. Enough Shakespeare to the point where I'm actually getting used to reading plays. Nobody should ever read plays. The best way to avoid getting too into Shakespeare is by playing Bloodborne, though, and luckily that just came out today! But I won't get to play it until Thursday, so I'll just have to wait. For the X1 and PC crowd, you might not have gotten Bloodborne today, but you did manage to snag some pretty (expesive) cool DLC for Dragon Age: Inquisition. I don't know what the heck it does, but hopefully it brought back that Mirror of Vanity from Dragon Age 2 that they were talking about. Because sometimes you get 40 hours into a game and realize that you forgot to make your ears the proper level, you know? Things happen. With ears.